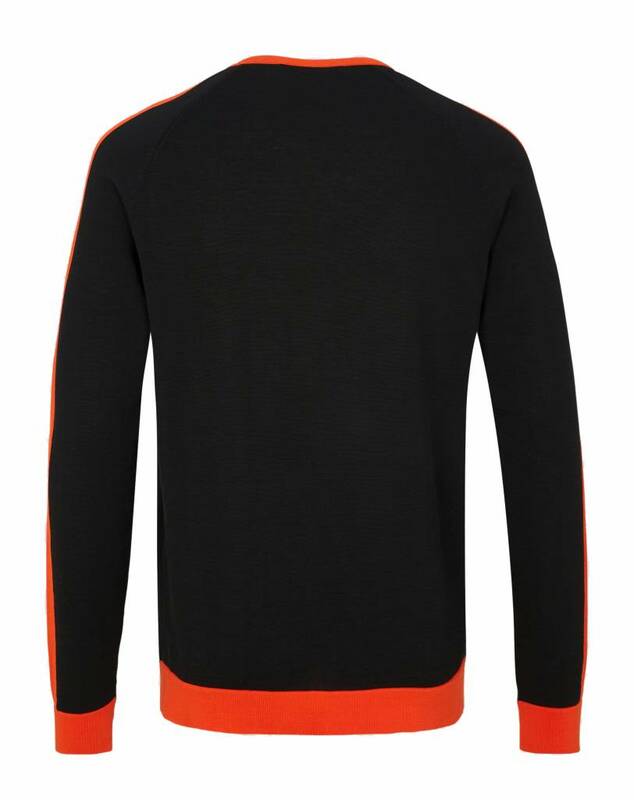 The 'Colly' men's pullover from Drykorn is ideal for spring thanks to the thinly knitted cotton. 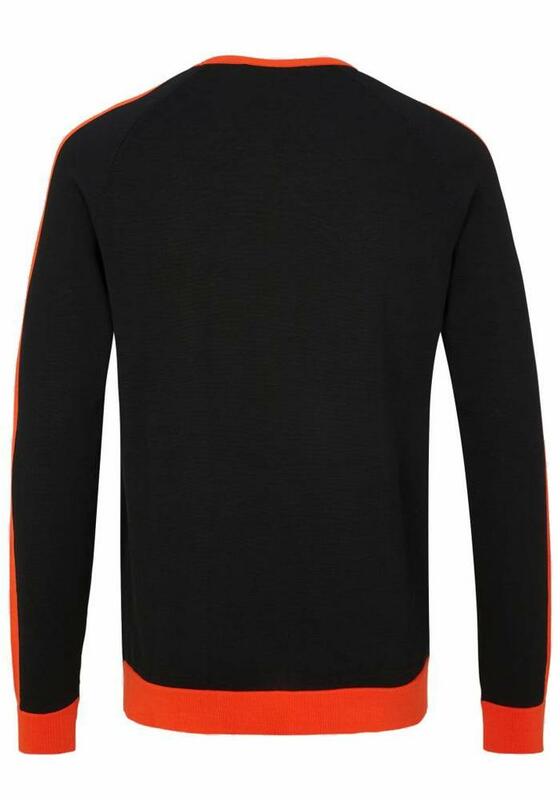 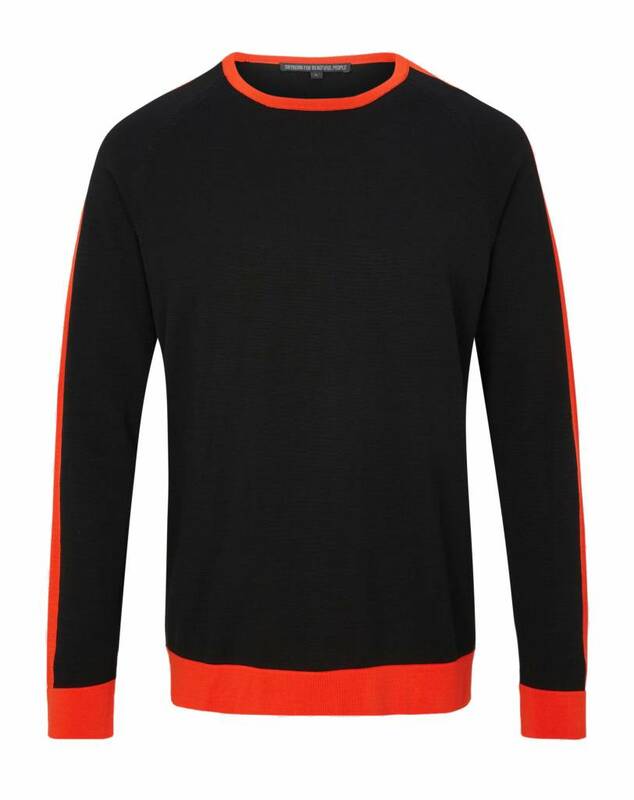 The collar and stripe on the sleeves are bright red and give the pullover a sporty touch. 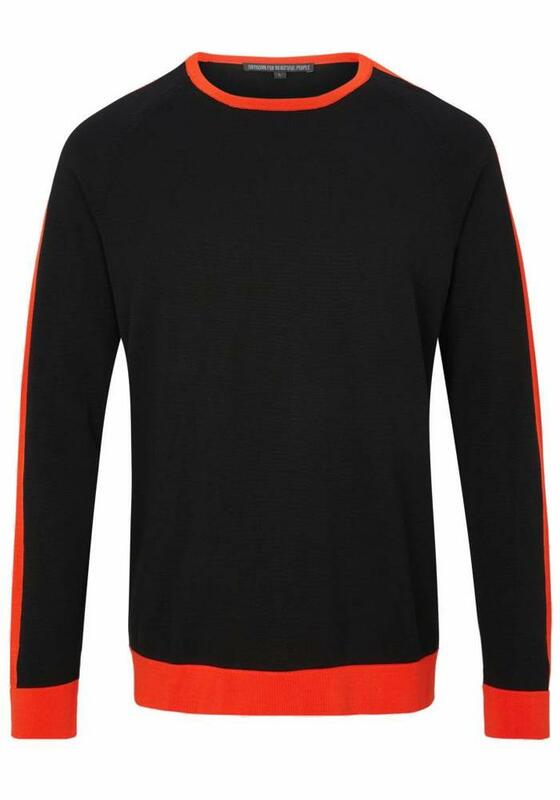 The design has been kept clean.